These terms and conditions apply between the individual, firm, company or other entity specified on your booking form (you) and NXT Group Limited (09837838) registered in England and Wales at Vita House, Fish Quay, North Shields, NE30 1JA (NXT) (Terms). 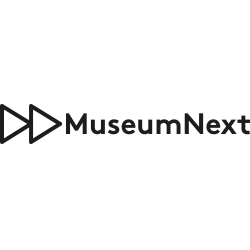 NXT produces the MuseumNext conference specified on your booking form (Event). Any reference to ‘parties’ shall be reference to both you and NXT. By submitting your registration to attend the Event you agree to be bound by these Terms. If you do not agree to be bound by these Terms, NXT will be unable to accept your registration. Please read them carefully each time you register for an event. Your attention is particularly drawn to the provisions of clause 6. Your registration is an offer to NXT to attend an Event which is subject to our acceptance in writing (which may be by email). A binding contract between you and NXT will only be formed when written confirmation of acceptance is sent by NXT to you (whether or not it is received) using the email address you provided at the time of registration (Confirmation). You should contact us if you have not received Confirmation within 5 (five) days of registration. We reserve the right to refuse to accept your registration for any reason. NXT may (at its sole and absolute discretion) change the format, speakers, participants, content, venue location and programme or any other aspect of the Event at any time and for any reason, whether or not due to a Force Majeure Event (as defined in clause 5), in each case without liability. NXT may also (at its sole and absolute discretion) change the date or cancel an Event at any time for any reason. Where we change the date, NXT shall offer you the option of attending any rearranged Event that we choose to organise. If you promptly notify us in writing before the date of the Event that you do not wish to attend the rearranged Event or if NXT cannot rearrange the Event within 6 (six) calendar months of the original date of that Event, then you will (as your sole remedy) be entitled to receive either a refund of Fees (as defined in clause 3) received by NXT. NXT reserve the right to refuse admission to, or eject from the Event, any person at its sole and absolute discretion, including (without limitation) any person who fails to comply with these Terms or who in the opinion of NXT represents a security risk, nuisance or annoyance to the running of the Event. You agree to comply with all reasonable instructions issued by NXT its agents, employees and/ or subcontractors or the venue owners at the Event. From time to time we permit filming and streaming of Events to sites such as Facebook. Unless we specify otherwise, all unauthorised photography and the recording or transmitting of audio or visual material is expressly prohibited. You consent to filming and sound recording and photography of the Event and you consent to the use by us of any such recording or photography anywhere in the world for promotional, marketing and other purposes. You acknowledge that if you wish to use the wifi provided by us at an Event, you do so at your own risk and NXT accepts no liability for the use, or misuse of this service. You may need to agree additional terms and conditions with the provider(s) of wifi at an event in order to gain access. You will pay NXT the price specified in your booking form for the Event (Fees). Payment of your Fees must be made via credit, debit or other bank card at the time of placing an order for an Event. If payment is not successful or subject to a charge back, NXT may (at its sole discretion) either require such payment as a condition of your entry to the Event or refuse you entry to the Event. No refunds of any proportion of the Fees already paid by you (if any) will be made and any balance of your Fees will remain due and payable where entry to an Event is refused. NXT may, in its absolute discretion, offer discounts and booking incentives for Events including without limitation for group/block bookings. Any such discounts/incentives will be set out on a booking form and may be revoked at any time by NXT prior to payment of the Fees. If you fail to make any payment due to us under these Terms by the payment due date, then you shall pay interest on the overdue amount at a rate of 4% (four percent) per annum above the base rate of the Bank of England. This interest will accrue on a daily basis from the due date until the date of payment of the overdue amount, whether before or after judgment. Prices for each Event, where applicable, are correct at the time of publication. NXT reserves the right to change the prices at any time. Any changes will not affect registrations which have already been confirmed by us. Prices for each Event are exclusive of VAT or any similar sales tax or any tax that replaces such tax. Any such tax payable in relation to any such amounts shall be paid in addition to those amounts. If you are required under any applicable law to withhold or deduct any amounts from payments due to NXT you shall increase the sum paid to NXT by the amount necessary to leave NXT with an amount equal to the sum it would have received if no such withholdings or deductions had been made. You shall pay all Fees in full without any set-off, counterclaim, deduction or withholding (except for any deduction or withholding required by law). NXT may at any time, without limiting its other rights or remedies, set of any amount owing to it by you against any amount payable by NXT to you. If you cancel your registration 30 (thirty) days or more before the Event you will be provided with a full refund of any Fees paid to us for the Event, subject to deduction by us of an administration fee of £25.00 (or equivalent in the local currency of the location of the Event). All cancellations must be sent by email to jim@nxt.co.uk and must be received by us. You acknowledge that the refund of your fees in accordance with this clause 4 is your sole remedy in respect of any cancellation of your registration by you and all other liability is expressly excluded. NXT will not provide any refund where you cancel your registration less than 30 (thirty) days before the Event or fail to attend the Event for any reason. However, NXT will accept substitutions for employees from within your organisation. In all other respects registrations are issued for your personal use only and cannot be shared with any person during the Event. You must email any substitutions to jim@nxt.co.uk prior to the date of the Event. You may not purchase registrations as agent for any third party or sell or otherwise transfer your registration to others, or exploit the registration commercially or non-commercially in any way. NXT assumes no liability whatsoever whereby an Event is cancelled, rescheduled or postponed due to an event outside of our control. An event outside of our control includes, but is not limited to: supplier or contractor failure, act of god, war, fire, strike, extreme weather, terrorist attack, venue damage, flood, military action or any other emergency beyond our control (Force Majeure Event). If, by reason of any Force Majeure Event, NXT is delayed in or prevented from performing any of its obligations under these Terms, then such delay or non-performance shall not be deemed to be a breach of these Terms and no loss or damage shall be claimed by you by reason thereof. Our obligations shall be suspended during the period of the delay or non performance and both parties shall each use reasonable endeavours to mitigate the effect of the Force Majeure Event. d) any other liability which cannot be limited or excluded by applicable law. NXT shall under no circumstances whatsoever be liable to you whether in contract, tort (including negligence), for breach of statutory duty, or otherwise for any loss, delay, damage, arising under or in connection with these Terms for, loss of profits, loss of sales or business, loss of agreements or contracts, loss of anticipated savings, loss of or damage to goodwill, any indirect or consequential loss (including, but not limited to, any travel or accommodation costs). NXT’s total liability to you in respect of all other losses arising under or in connection with the Event whether in contract tort (including negligence) breach of statutory duty or otherwise shall in no circumstances exceed the Fees received by us in respect of that Event only. These Terms, any dispute or claim (including non-contractual disputes or claims) arising out of or in connection with it or its subject matter or formation shall be governed by, and construed in accordance with the laws of England. We both irrevocably agree that the courts of England shall have exclusive jurisdiction to settle any dispute or claim (including non-contractual disputes or claims) arising out of or in connection with these Terms or its subject matter or formation.